Spin is your electric scooter and bike sharing app. Get you where you need to go -- whether you’re commuting to work, going to class, running errands on the weekends or exploring your city. With Spin, you’re free to roam. 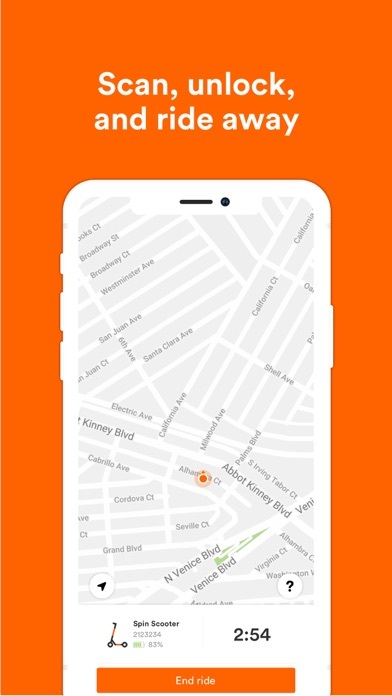 Here’s how to Spin: * Open the app to find the nearest vehicle using the map * Enter your payment details and receive an automatic free trip * Unlock your ride by scanning the QR code located on the vehicle * Have fun and enjoy the ride * When you're done, park the scooter or bike neatly at your destination following local parking rules * Use the app to end your trip with scooters, be sure to physically lock your bike Having access to thousands of scooters, bikes, and electric-assist bikes is as easy as downloading the app. Want Spin on your campus or in your city, or do you have feedback? Contact [email protected] or find more information at www.spin.app. 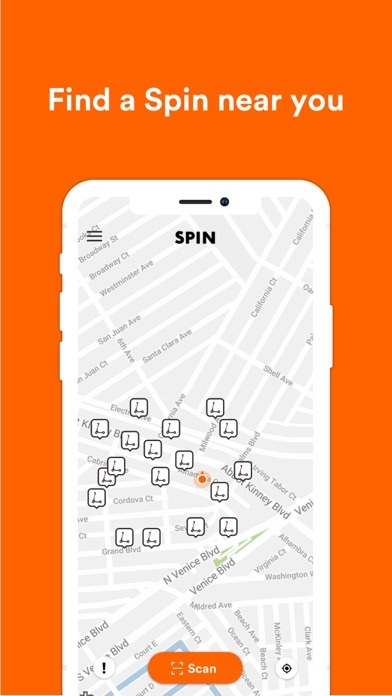 As featured on New York Times, Fast Company, The Atlantic, and TechCrunch, Spin is available in more than 50 markets. Scooter stopped working mid ride. Lame. Slow. Only one per card so a family can’t go. Super lame and never to. E used again! I rode the scooter for 8 minutes and spent 14 trying to park/lock the vehicle, which NEVER ended up working. Also the report issue button disappears a few seconds after the app opens and it recognizes you’re in a parking zone. “End Parking” shows up but it kept failing 12 times. I had to force close the app and quickly tap report issue and even then the checklist options didn’t highlight which selection i made in the issue reporting options. Long story short, the scooters and rates are great and it’s really easy to start a ride but it’s terrible to end it. There are many scooter services in the market and one day I thought I would give spin a try. The ride experience was like any other scooter experience but when it came time to lock the scooter it took 5 minutes of me standing and fumbling with the app to lock it. The scooter was obviously parked but I could see the timer clicking away as I tried frantically to end the ride. I kept getting error messages saying the scooter couldn’t be found and to stand closer to it. The entire time I was standing right next to the scooter and my cell service had full bars. 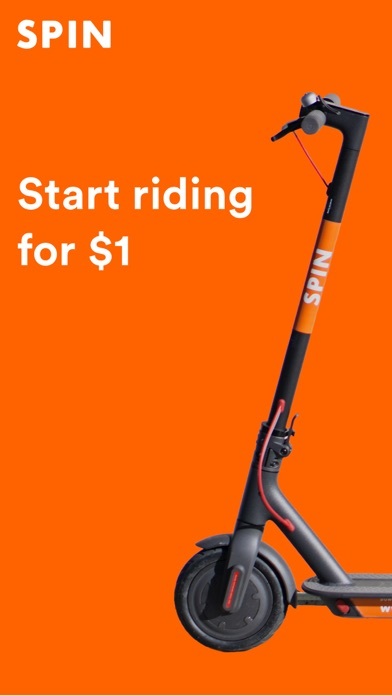 Needless to say I probably won’t be using spin again as there are so many other scooter services on the market that I have never had any issue with. Oh but wait, I still need to use the $5 in credits spin made me load onto the app instead of just paying per ride like every other service!!!!!! I downloaded their app because they had new scooters in Charlotte and they had tags on them that said the first five dollars of your ride were free. Put in my credit card, charged me $6, and every single scooter I went up to it would buffer for five minutes then say it couldn’t start the scooter. My boyfriend had the exact same thing happen to him. So now I’m scammed $6 and I just used three Bird scooters instead. We had 5 devices. A couple had trouble getting the app to take the password. All had trouble ending the ride (spinning connection). Once rice and bike is locked the clocks keeps ticking on you (charging you money) but gets stuck spinning again. Had to close app and re-open it in order to take a picture and stop the clock. Given all the “spinning” of the app being stuck, it is appropriately named “spin”scooters! When the App and Scooters work. 5 stars. Only problem is that they’re still seems to be something that keeps the scooters and app from working all the time. Sometimes the app will say where a scooter is and then when you go to the scooter it isn’t there. The scooters seem to be some what cheap. There’s a lot of them that I try and ride and the handles will be shaking a lot. Maybe that’s just because people are riding them rough but it seems to be an issue on a lot of the scooters. There has been a few times where the scooter itself locks after a ride but the app thinks you are still riding. Then you get charged for two hours and have to go through support to get your money back. Support is very helpful though. The few times I’ve talked to them they have always fixed my problem immediately. I am however riding on a college campus so that might be where some of these issues are arising from. These are all small issues but they can be annoying at times. Just got to continue to work out the kinks. For now, Lime and Bird scooters are the way to go. This app/company wants you to keep a running balance. It’s essentially a loan, and unless you get lucky with distance/time on rides, you’ll never be at $0 balance. Ask them how you get the balance paid back. Horrible app, zero customer service. Scooter didn’t work, no one cared. App stuck with a bug so luckily I’m still being charged for something that doesn’t work. Other scooter services out there. Scooter had two issues: (1) once stopped it would try to accelerate on its own again. Kind of dangerous when at a stop sign! (2) sometimes it wouldn’t kick on and start after I had to fight with it to stop. Bike would NOT LOCK! Added about 4 minutes to my ride when I was done and I was CHARGED. Very disappointed and will not use this company again. I used the bike but the timer kept going. It said I had been using the bike for over 24 hours (lol) luckily the customer service is great and fully understood the situation was just a glitch in their system. The cleared the situation away and gave me my ride for free! Started up one scooter and waster 20 minutes trying to figure out that you can not add another schooler!!! 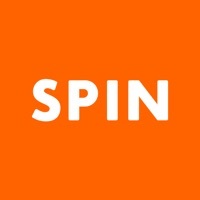 I’ve used birds and limes and spin and I’ve found the spin app the easiest and quickest to use. Got the scooter, drove for 10 seconds, then it didn’t work. Need money back!! These are much slower than the Lime or Bird Scooters. Software downloaded improperly and it took me 25 minutes to resolve turning phone off then on as app seized up my phone - while not allowing me to end ride thus charging me and then I was going to quit but kept on and it finally worked / good ride and great power and smoothness / wheelbase and shaft height too short- Lime is better but not as smooth or as powerful. I wrote a pretty bad review not long ago because of a scooter that stopped working and my phone dying and then it counting hours for a long time charging. They reimbursed the money within minutes and were really helpful and friendly. It took quite a while to find a Spin scooters compared to other brands and the ones we found had very loose handlebars and seemed almost dangerous at times with them rattling and not having quite the control that you should. Maybe they need a needs service button so you can let Spin know they need maintainence. No power even on the slightest of hills. And, the brakes stink. Better to use a different e scooter brand if you’re trying to ride around UCLA/Westwood. It has a large blocked area where if you enter, the scooter will stop working. You can’t park there either so you have to walk it out of the zone to park it. It also doesn’t handle bumps too well. The scooter is fine. But for whatever reason, every time I ride a Spin scooter, the app/system will not let me end the ride. I have to fill out a support ticket every time. Super annoying. Scooter was by far the slowest ever. The. It took over a minute to lock. There was was plenty of battery but when I pressed go it worked about 20% of the time 😒 but I will say the app was easy to use and those 2 minutes where it did actually work was fun. Had to use spin instead of my normal lime scooter. The engine stopped working in the middle of the ride. It did not allow me to end the ride, because I was in a “no parking zone”. I was charged during the time I had to drag an broken/unwilling scooter into a parking zone, for I could not turn it off otherwise and was being continually charged. Absolutely abysmal experience, from a sub par scooter to begin with. Use Lime scooter or Byrd, no need to waste your hard earned money on this terrible service. Scooter biz is a relentless scam as far as I can tell. Stay away. We found 20+ scooters with dead batteries before we found a couple that had enough battery to work for 20 minutes. Not sure why this company is in business if none of the scooters have battery power.